Climbers Stefani Dawn and Rick Momsen of Climb-On Maps hate getting lost and blowing a day of a multi-pitch climb. Hence the inspiration for their series of climber's maps for major areas, including Smith Rock State Park. The 20 years of mapping experience Rick brought to the table along with Stefani's business head turned out to be a winning combo. 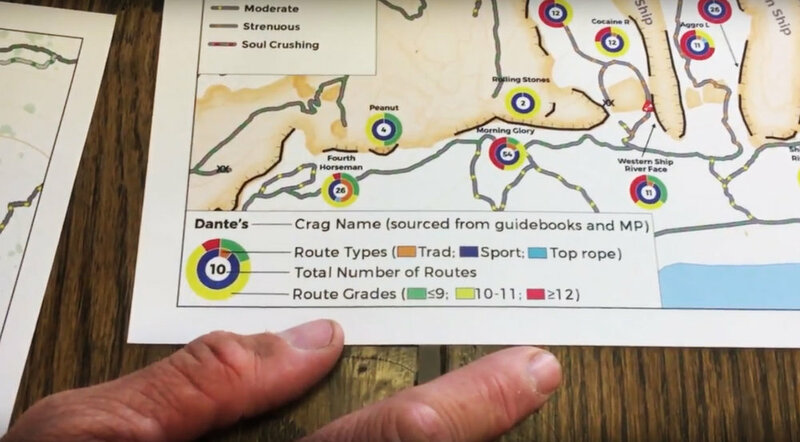 We met Stefani and Rick at an event at Redpoint Climber's Supply in early summer when they were getting feedback to fine-tune their new Climber's Map for Smith Rock State Park: Crag Summaries, Approaches & Walkoffs. They combine climbing data from Alan Watt's Climber's Guide to Smith Rock and Mountain Project, along with their own extensive exploration of each climbing area to help climbers plan their day at a glance. In addition to climber's input, they met with Smith Rock's park management and local "mayor" Ian Caldwell to help manage restoration efforts by highlighting sensitive areas to redirect climber traffic. The result? A waterproof, tear-proof map that is 2' x 3' feet, but folds down to a handy 4" x 9" size. Brand new, you can pre-order at an intro rate of $11.99 + shipping ($15.74) until September 20. Shipping starts September 18, 2017. When Stefani is asked why have such an extensive map for a relatively small climbing area like Smith Rock, she points out that "It's a great way to jog the brain at the start of a new season for familiar climbers, a perfect orientation for climbers new to the area, and a great way of seeing what is yet to be developed." 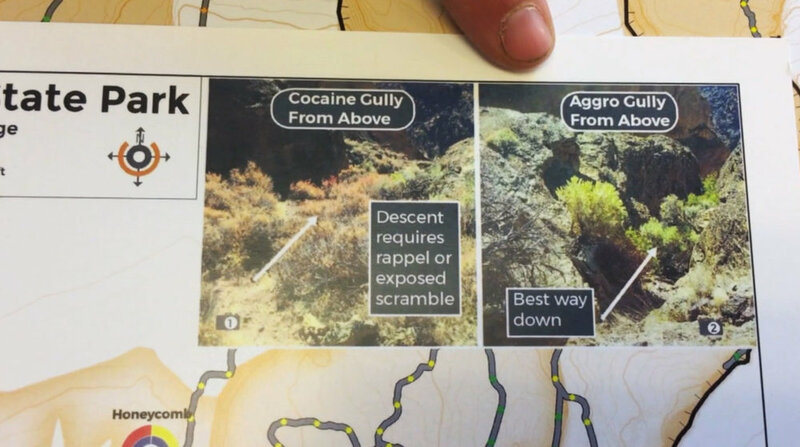 "Even seasoned Smith climbers will find surprises on the map," she adds, "and the crag stats are great for planning your climbing day, giving you options when your route of choice has a line 10 deep."